The primary elections are only 15 days away for Florida residents. Early voting kicks off on Aug. 13 for eighteen Florida counties, including Charlotte, Hendry, and DeSoto counties. 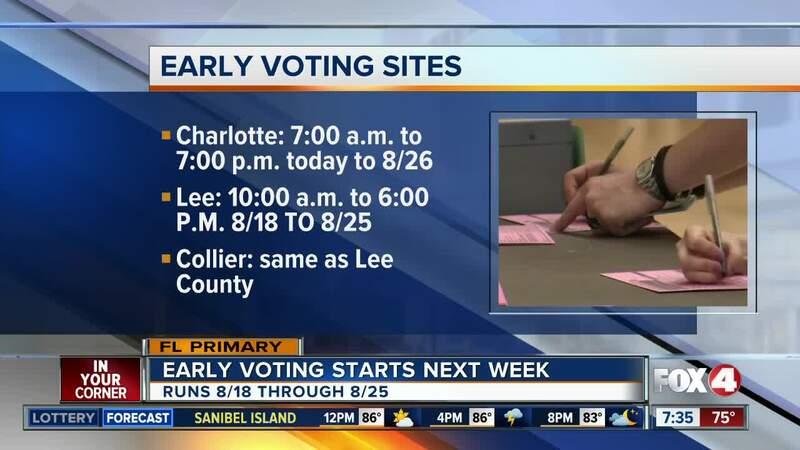 Early voting for Lee, Collier, and Glades counties will take place on Aug. 18. Early voting must begin 10 days before election day, but counties can add extra days. Polls must be open at least eight hours daily. Mail-in voting has already begun. The state says more than 571,000 votes have been cast.